404 is what you'd expect there - nothing's mapped to that URI. Your install was a success, ORDS is running. 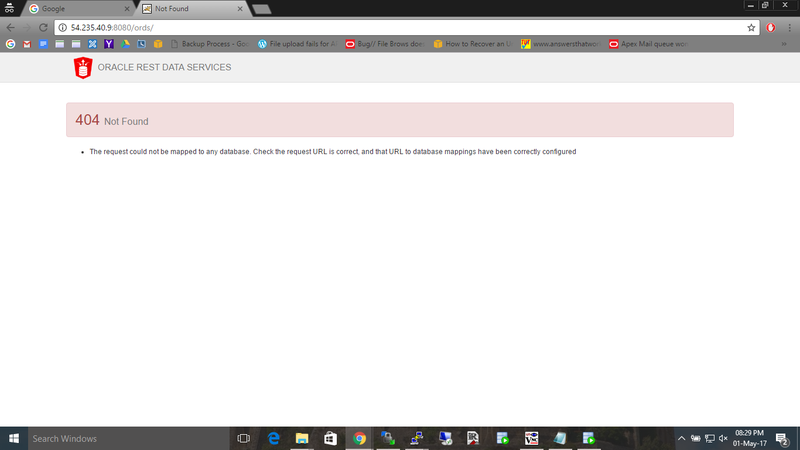 But until you create a service, there's nothing for ORDS to serve up to you, so you get the 404. Not the answer you're looking for? Browse other questions tagged oracle oracle-apex oracle-apex-5 oracle-apex-5.1 or ask your own question. During installation SQLPLUS didn't mention PASSWORD for users “ SYSDBA” and “SYS”?